Vinalhaven Eldercare Services’ mission is to provide the opportunity for Vinalhaven elders to age in place: in their homes, in the community, on the island, to maintain elders’ connections to island traditions, community and family, to promote dignity, safety, health, comfort and a respectable quality of life and to be a sustainable organization. 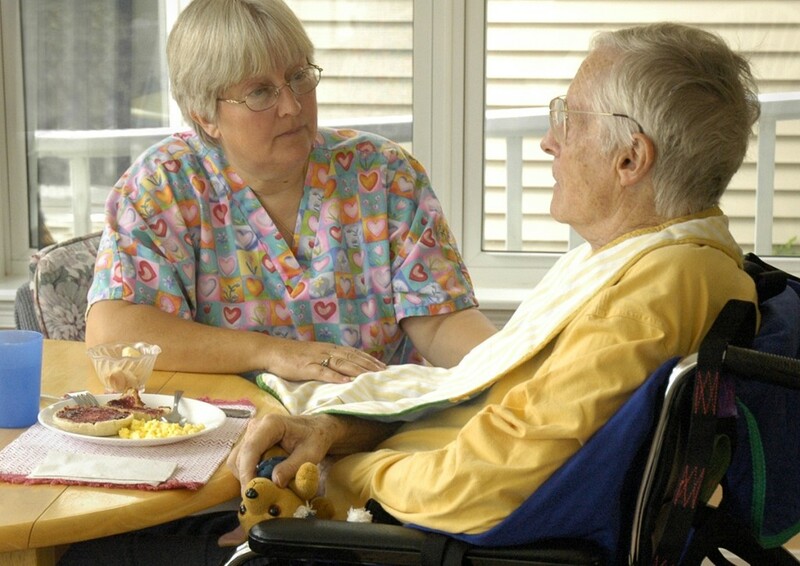 Vinalhaven Eldercare Services (VES) was formed in 1996 to help meet the needs of the elderly on the island of Vinalhaven. The initial focus of the organization was to provide transportation and enhance safety at home so that residents could remain in their island homes as long as possible. VES committed to raising funds for an on-island eldercare facility and in 2001 opened the doors to the Ivan Calderwood Homestead, an eight-bed facility serving residents of Vinalhaven. Moving out of their home has a very different meaning on Vinalhaven than it may elsewhere in the country. Growing old can bring many challenges, most of which are made even more difficult living on a remote island. Doctor visits, acquiring necessary prescriptions and shopping all require a full-day journey to the mainland. Prior to our services, all elderly residents who were no longer able to live independently were forced to leave the island, community and family. Once an individual is put in a care facility off-island, they are removed not only from their home but also from their family and community. Visitors must ride the ferry and either pay for a vehicle ticket or have access to a vehicle on the mainland. Similarly, it is unlikely that elders placed in homes on the mainland will have opportunities to attend family gatherings, visit friends in their home or attend community events. For this reason, many year-round and summer residents of Vinalhaven saw the value in providing services that will prolong an individual’s ability to remain in their own home and, for when they are no longer able to do so, to provide a home on the island where seniors could live. While at the Ivan Calderwood Homestead, elders have the ability to remain in their community while the burden on family is lessened considerably.